Do feel like you aren’t qualified to talk money matters with your teen? Let’s shift that thinking starting now. 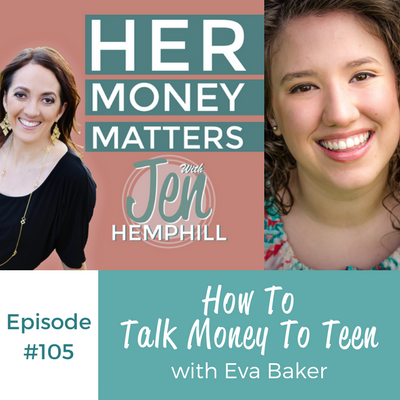 I’ve got Eva Baker, founder of Teens Got Cents with me today and she shares her dedication to making sure other teens like her could avoid some of the mistakes made by adults (such as massive debt) and get started down the right path. Eva grew up in a household where her parents were very hands-on with finances. With their help, Eva started her envelope system at the age of 5. When she was 14, she got her bank account, debit card, and allowance from her parents. From this point on, Eva was responsible for purchasing all of her clothes. This responsibility forced Eva to be purposeful with her money and how she was spending it. 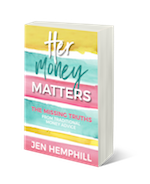 Around the age of 15, her parents were going through a divorce, and her mom was trying to get back on her feet financially and wanted to read The Total Money Makeover by Dave Ramsey. Since Eva’s mom was frugal with her money mindset, she went to the library instead of purchasing the book. When Eva and her mom got to the library, they only had the audiobook, so Eva was stuck listening to it in the car. After Eva had listened to Dave Ramsey talk about saving and getting out of debt, it hit her that adults have thousands of dollars of debt and she never wanted to be in the position where she needed to read the book for herself. She realized there was no money talk or advice for kids. With this newfound inspiration, Eva decided to start a personal finance website for teens to share what she learned so her peers could have the basic understanding of money before they got dropped off in the “real world” come college. Set kids up with a budget. Create a cash-based envelope system where you write categories on the envelope. Then, take your money and divvy it up. Envelope systems give teens the opportunity to learn how to budget and manage money. Track every dollar. Every dollar your teen gets has to go through an envelope. They need to know where the money is going to; it has to hit an envelope. This habit helps train your mind to think about what you’re spending your money on and being purposeful with it. Give kids the responsibility. Don’t just tell them about money, allow them to learn. It’s important for parents to let the kids fail and make mistakes. For Eva, it’s acknowledging the wins, big or small. She admits she’s not perfect with her money every day, but she has a system and a plan and does her best to stick with it. Another thing Eva does well is saving—she puts away more than half of what she makes. Eva is purposely choosing to put this money aside for her future, so in the long-run, she’ll be happier knowing the money is there. At 15, Eva saved $1,000 for an “emergency fund.” At the time, she recalls not feeling very proud of herself. But it wasn’t until the past couple of months when she faced unfortunate car problems she thanked her younger self. Initially, Eva needed her brake pads replaced, but just a couple of weeks later, she backed into the truck. This fender bender resulted in an expensive ticket, bumper repairs, and paying for driving school to get points taken off her license. Eva was feeling anxious and ready to cry because she couldn’t afford to take care of all the car issues—but then it dawned on her—she has an emergency fund. And that’s when she felt proud she had money saved to fall back on when she needed it. Eva now uses Good Budget. She says it’s digital envelope system and she doesn’t get caught up in the “swipe and forget” habit. With Good Budget, anytime Eva makes a purchase, she has to go into the app and take that money out of the envelope right then and there, so it holds her accountable for all her purchases. Eva Baker started Teens Got Cents four years ago as a high school project. 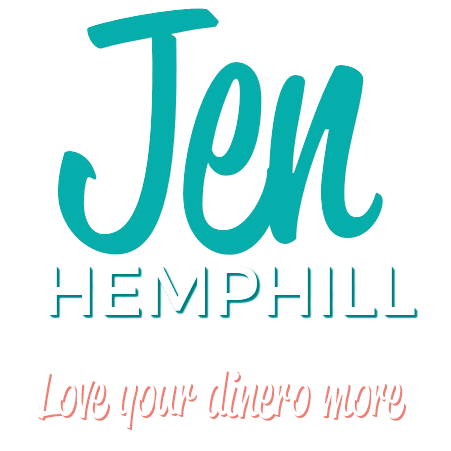 Her site is all about personal finance for teens and she talks about things like shopping smart, how to get a great part time job, how to go to college debt free, and fun DIY projects that save money. She is also the founder of The Teenpreneur Conference. The conference is held annually for teens who want to start their own business or who already have a business and want to pursue it more seriously.